Encryption used in Apple’s iMessage chat service has stymied attempts by federal drug enforcement agents to eavesdrop on suspects’ conversations, an internal government document reveals. An internal Drug Enforcement Administration document seen by CNET discusses a February 2013 criminal investigation and warns that because of the use of encryption, “it is impossible to intercept iMessages between two Apple devices” even with a court order approved by a federal judge. The DEA’s warning, marked “law enforcement sensitive,” is the most detailed example to date of the technological obstacles — FBI director Robert Mueller has called it the “Going Dark” problem — that police face when attempting to conduct court-authorized surveillance on non-traditional forms of communication. 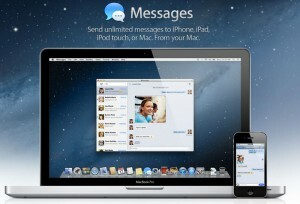 When Apple’s iMessage was announced in mid-2011, Cupertino said it would use “secure end-to-end encryption.” It quickly became the most popular encrypted chat program in history: Apple CEO Tim Cook said last fall that 300 billion messages have been sent so far, which are transmitted through the Internet rather than as more costly SMS messages carried by wireless providers. This entry was posted on April 4th 2013 at 4:23pm/16:23 and is filed under Live News Column 1, Politics, Technology. You can follow any responses to this entry through the RSS 2.0 feed.